What is Stop Loss? And How it actually works? When most of the traders are busy deciding the entry and exit price of a stock, there’s one point that they most easily overlook. And it is stop-loss. In this post, we are going to discuss all the aspects of stop loss in details. Here are the topics which I’m going to cover today. Advantages of using a stop loss. Should long-term investors use a stop loss? Although ‘stop-loss’ might sound a little complicated to the beginners, however, it is really simple to understand. Therefore, without wasting any time, let’s learn what is stop loss and how it actually works. 1. 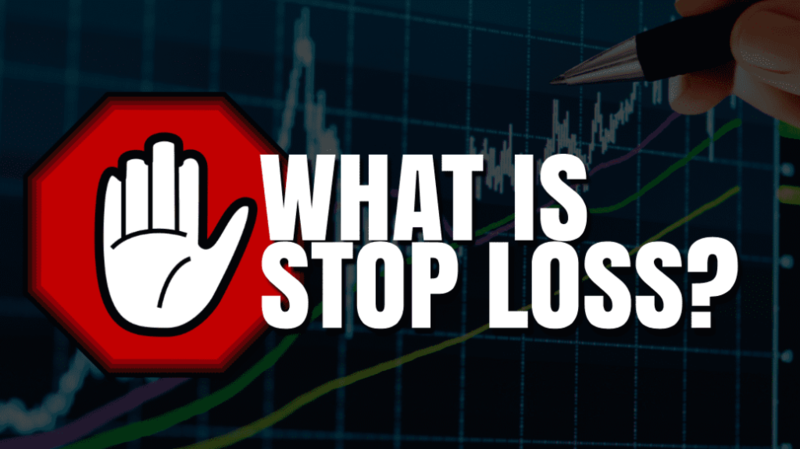 What is Stop Loss? Stop loss is a very powerful tool available to the traders/investors to limit their losses. It is an advance order to sell the shares if the share price reaches a particular price point. Therefore, it helps to automate the selling process in different market scenarios. For example, let’s say that you bought 200 shares of a company ABC at Rs 100. However, you do not want to lose more than 5% of your money, in case the trade didn’t work out as expected because of any reason. 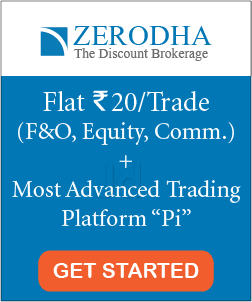 Here, you can put a stop loss to automatically sell your shares if its price falls below Rs 95. Therefore, by putting a stop loss, you are limiting your losses. You are booking a loss at 5% and avoiding the scenario in case the trade might turn out ‘sour’ and the share price falls more than 5% (say 7 or 10%). Stop-loss can be used to for both short-term and long-term. Further, most brokers do not charge extra for this type of order, making it more effective for the traders. 2. Advantages of using a stop loss. a. Cutting your losses: Stop loss helps you to cut your losses and ensures you against a big loss. Many a time, your stock trade would have turned out to be quite ‘ugly’ if you didn’t place a stop order and the price falls steeply. b. Automation: Stop loss helps to automate your selling and hence you do not need to be present all the time.A stop loss will be automatically triggered in case stock touches a specific price. c. To maintain ‘Risk and Reward’: It’s really important to maintain risk and reward while trading. For a specific reward, you should be stubborn that you will take only a fixed amount of risk. For example, you can define that you’ll take only 2%, 5% or 8% risk for getting that much profit. And, a stop loss helps you to maintain your ‘risk and reward’. d. Promotes discipline: It’s really important to detach yourself from market emotions. Stop loss helps you to stick to your strategy and promotes a disciplined trading. There are a number of stop-loss strategies to be followed while trading. 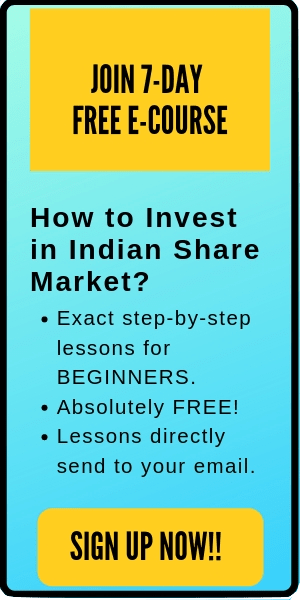 Here’s a video by Market Gurukul, which can help to learn some of them. Note: If you want to learn more technical analysis, I would personally recommend you to watch Market Gurukul videos (Freely available on their youtube channel). You can learn excellent technical strategies there. 4. Should long-term investors use a stop loss? A majority of the long-term investors do not use stop-loss in their long-term holdings. They argue that they do not mind short-term fluctuations in the market. Moreover, it makes perfect sense for not to exit a stock (which you have properly analysed and researched for weeks), just because the market was volatile on a specific date. If you are investing for 5 years or more, there will always be a few days when the stock will get beaten by the market. Nevertheless, if you are confident on the stocks’ long-term performance, why to get afraid of few short-term fluctuations. Nevertheless, there is a minority of long-term investors who believe that it’s always a good strategy to keep your investments inside your risk appetite. They believe to decide a stop-loss price, even for their long-term holdings. Personally, I do not use stop loss on my long-term holdings. However, this is my personal choice and not an advice. I leave it totally up to you to decide which strategy works best for you. There are a number of times when you have to remain cautionary even if you placed a stop loss on your order. Let’s say you placed a limit order to buy a share (along with stop loss) on a particular day. However, in case, the stock opened at a ‘gap-down’ in the pre-opening session. In such scenario, your stop loss will never get triggered and you might have to bear some losses. For example, let’s say that you placed a stop loss at Rs 95. However, during the pre-opening session, the stock opened on a gap-down at a price of Rs 90. In such case, your stop loss will not get triggered and hence, your sell order never get placed. Another disadvantage of using stop loss is that it can get activated by short-term fluctuations. For example, for the same scenario, let’s say that for the same stock, the share price first fell to Rs 94 and then renounced and went up to Rs 105. As you have placed a stop loss at Rs 95, your holdings will be sold automatically, once the stop loss price is triggered. Although even the stock rises after reaching Rs 94, still you have to book a loss as you would have left your position automatically. Overall, the key point while choosing a stop-loss is that it should allow the stock to fluctuate day-to-day while preventing the downside risk as much as possible. A 5% stop loss for a stock with a history of 8-10% daily fluctuations won’t work out well. Although there are few limitations of using stop loss, however, it is a very useful tool to limit your losses. A big loss in one trading session might erode the profits of your last 10 successful trading. Moreover, if you are a new trader and not have the skill yet to decide ‘quickly’ the price action of a share, then you should definitely learn the proper stop loss placement techniques. That’s all. I hope this post on ‘What is Stop Loss? And How it actually works?’ Is useful to you. Please comment below if you have any questions. #HappyInvesting.